We render a model advocating an extension of choreographies to describe reverse computation via monitoring. More precisely, our extension imbues the communication behaviour of multi-party protocols with minimal decorations specifying the conditions triggering monitor adaptations. 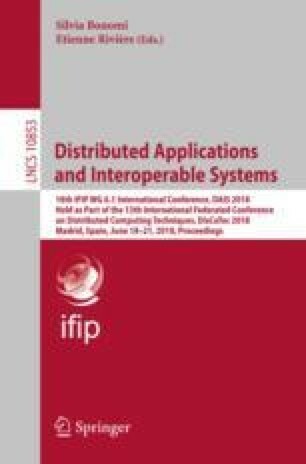 We show how, from these extended global descriptions, one can (i) synthesise actors implementing the normal local behaviour of the system prescribed by the global graph, but also (ii) synthesise monitors that are able to coordinate a distributed rollback when certain conditions (denoting abnormal behaviour) are met. Research partly supported by the EU COST Action IC1405. This work sprang up from the MSCA-IF-2017 fellowship RCADE 794405.